ELISA Test Kits, ELISA Kits | ARP American Research Products, Inc.
Enzyme-linked immunosorbent assay (ELISA) is a widely used laboratory technique that was first described by Engvall and Perlmann in 1971. 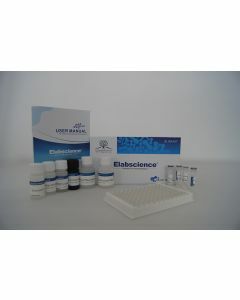 The basic ELISA principle is based on the use of an enzyme conjugated antibody to detect a soluble antigen, which has been immobilised to a solid matrix such as a 96 well polystyrene microtitre plate. Since the technique was first described, adaptations to the basic ELISA method have been developed and used extensively in research and diagnostic laboratories. 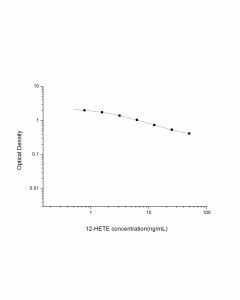 The direct ELISA method involves the adsorption of the antigen to the well of the microtitre plate which is then detected using an enzyme-labeled specific antibody. The indirect ELISA technique requires the use of an unlabelled antibody to detect the antigen and a second enzyme-labeled antibody to detect the antigen/antibody interaction. In the sandwich ELISA method, the antigen of interest is captured between two antigen-specific antibodies one of which is coated directly to the microtitre plate and the second antibody conjugated to an enzyme. In each method, the final step requires a substrate that the enzyme catalyses to produce a color change which will vary according to the amount of antigen present. Variations of these three basic methods have been developed to increase assay sensitivity. Commercial ELISA kits are now available that contain all the necessary components required to detect and measure a wide range of antigens in solution and biological samples including cytokines, hormones, and antibodies. American Research Products supply an extensive range of ELISA kits that are designed to quantitatively measure specific antigens with a high degree of sensitivity. Humanin, also known as MT-RNR2, is a small mitochondrial-derived peptide that has been reported to play a role in protecting cells and tissues from stress-induced cell death. The peptide was first isolated from the brain of a patient with Alzheimer's disease (AD) and has been shown to have a neuroprotective effect. Ongoing studies in vivo suggest that humans could be a therapeutic candidate for the treatment of AD. American Research Products (ARP) also supply ELISA kits that are designed to recognise humanin peptide in a range of different species. Adeno-associated viruses (AAV), from the parvovirus family, are small single-stranded DNA viruses that affect humans and some additional primate species. 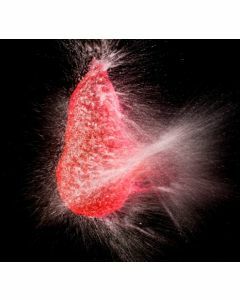 AAV is currently considered to be non-pathogenic and most people infected with AAV only develop a mild immune response. Adeno-associated viruses carry genes into both dividing and quiescent cells where they can insert genetic information into the host genome These characteristics of AAV have been exploited for gene therapy and AAV virus have been engineered to carry therapeutic genes into host cells. CD81, also known as TAPA-1, is a widely expressed cell surface glycoprotein that is a member of the tetraspanin family of proteins. It is involved in a diverse array of cellular processes. In the immune system, CD81 controls the immune synapse and is involved in receptor clustering, signal transduction and cell adhesion. CD81 has also been reported to be involved in the process that allows hepatitis C virus and other viruses to enter cells of the host. In addition, CD81 has been shown to play an important role in cancer invasion and metastasis and may be of interest as a therapeutic candidate. ARP also supply a wide range of ELISA kits that support the determination of CD81 in a range of different species. Vences-Catalán F et al (2015). Tetraspanin CD81 promotes tumor growth and metastasis by modulating the functions of T regulatory and myeloid-derived suppressor cells. Cancer Res. 75(21):4517-26.